providing programs and assisting the museum staff with whatever is needed. We need and depend upon your help to make our plans work and hope that you will join us (click for more information and for membership form). 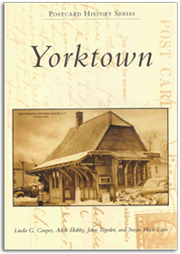 The recently published Postcard History Series – “Yorktown” is here! This is different from the book Images of America- “Yorktown” as this book is based on old postcards from the collections of the Yorktown Museum as well as two collectors within the Taconic Postcard Club, Susan Hack-Lane and Dolores Pedi. 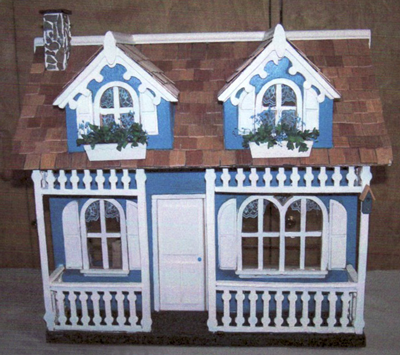 A little blue cottage dollhouse is on display at the Yorktown Museum for our next raffle. Raffle tickets are $1.00 each or 6 for $5.00 and are available at the museum. 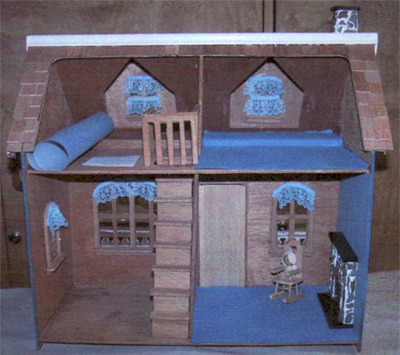 Four Room Cottage - Stairway to Upstairs - Fixed Fireplace on First Floor. Inside is ready to be finished by the new owner! Built from a Kit and restored by Carole & Neal Pruzan. 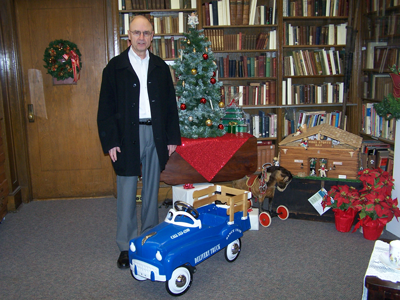 Donated to the "Friends of the Yorktown Museum"
PEDAL CAR RAFFLE WINNER DRAWN DECEMBER 2011! the pedal car for their grandsons. Museum Hours: Tuesday & Thursdays 11:00 a.m. - 4:00 p.m. and Saturdays 1:00 p.m. - 4:00 p.m. This page was last updated on January 25, 2012. © 2016, The Yorktown Museum. All rights reserved, USA and worldwide. Site designed by Robyn Steinberg and maintained by the Town of Yorktown. Site hosted at GoDaddy.com.